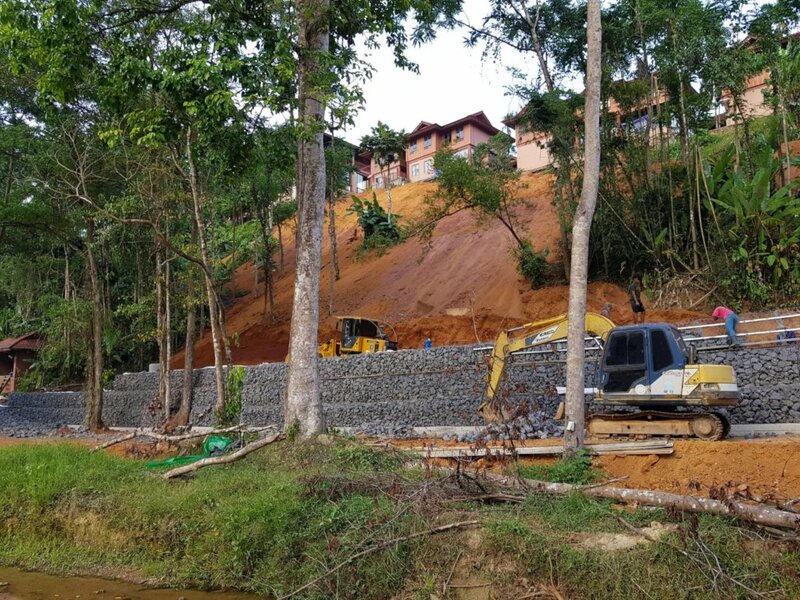 In March 2019, the restoration work is underway to install drainage passage under the gabion wall. The workers are compacting the soil under the retaining wall of the reinforced concrete base. 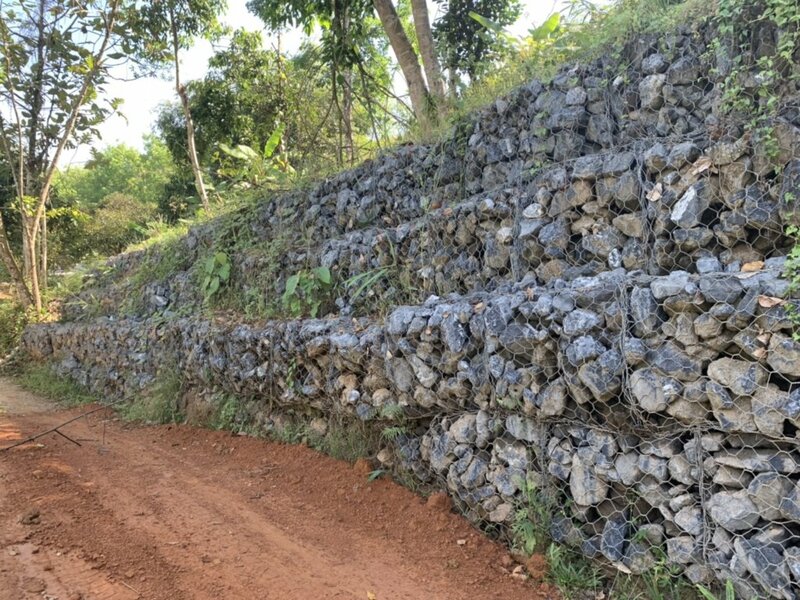 Individual gabion baskets are placed to form an integrated structure.The gabion retaining wall is constructed to stabilize surface slopes. 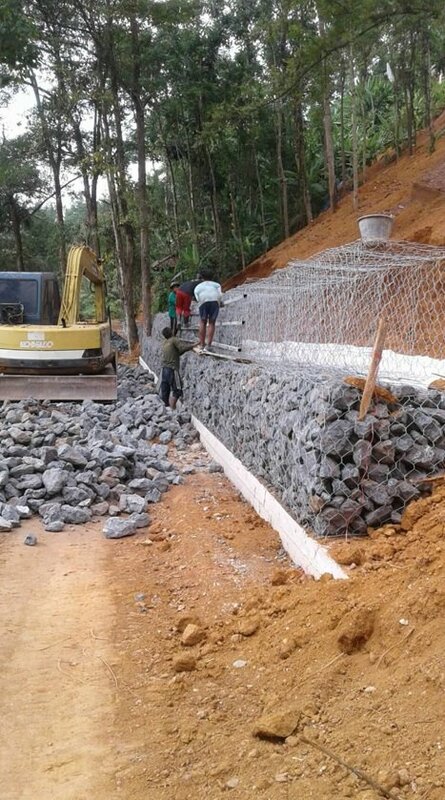 The work schedule is back on track and the time lost due to rainfall is recovered. 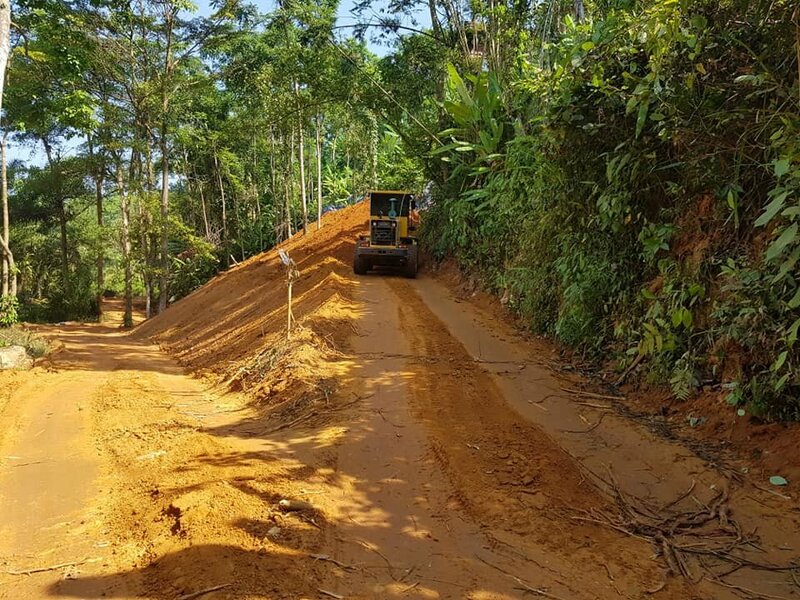 The overall site progress is estimated at 35% and the work is scheduled to complete in mid-May 2019. Lastly, thanks to all donors for your care and support for our school. 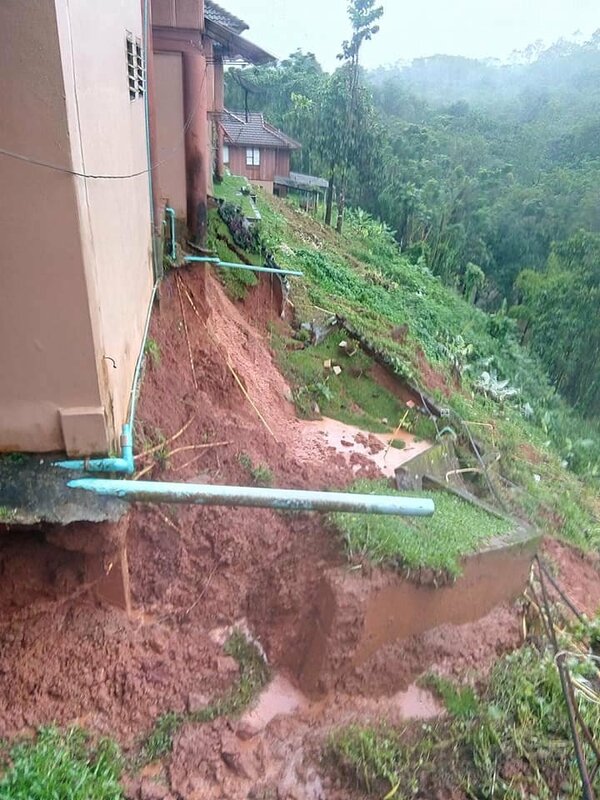 The school’s funds for restoration of damaged buildings are still needed. 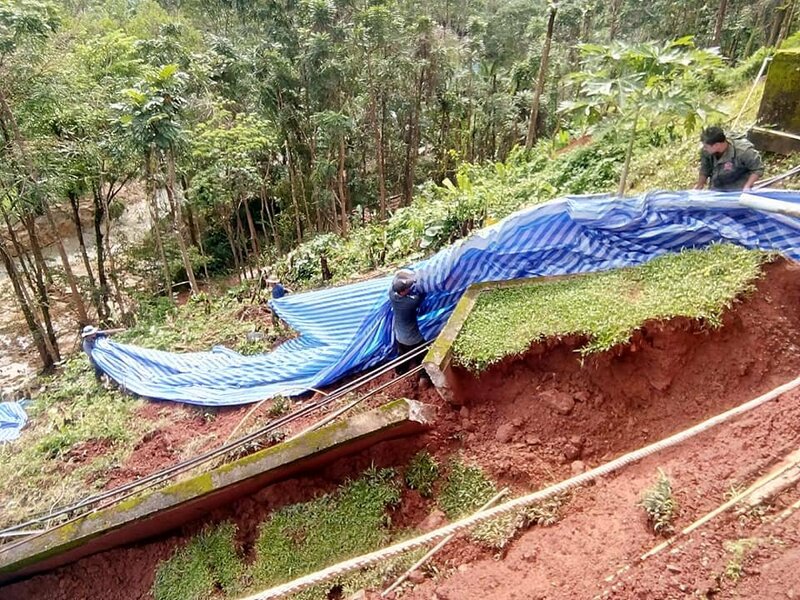 Some classroom buildings located on such area affected by landslide are inaccessible and currently pending the risk exposure assessment. 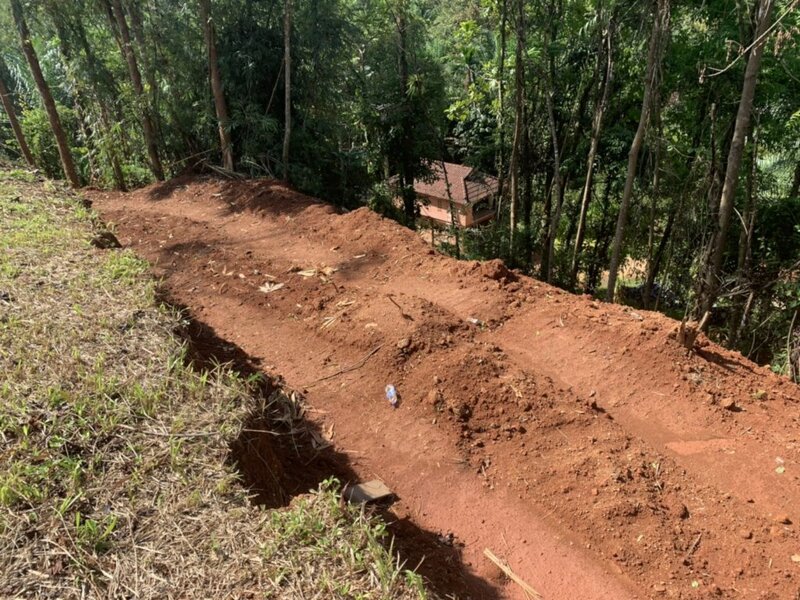 With the financial support from donors for the landslide and ground collapse that destroyed our school buildings in October 2018, we have started the reconstruction of the damaged area and buildings. 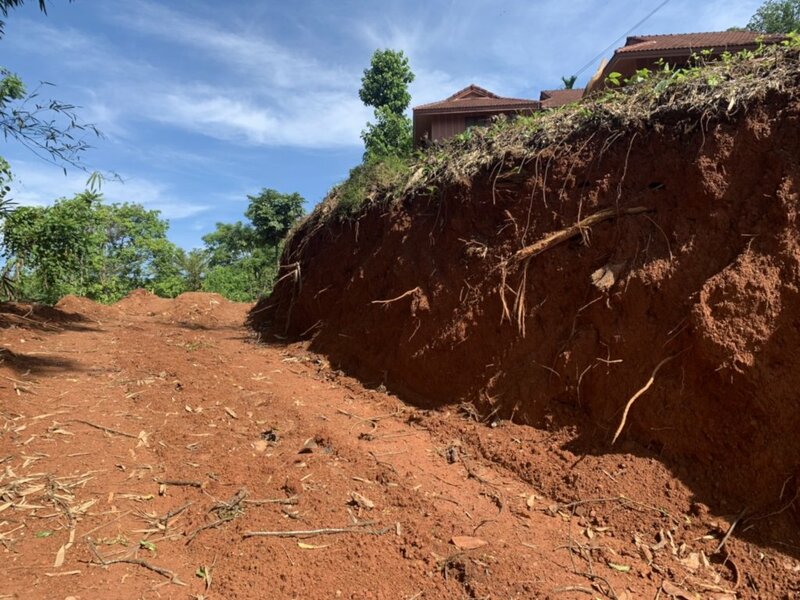 Since the mid of February 2019, our engineers have surveyed the damaged area and analyzed the factors contributing to the geological hazards during the monsoon season to find suitable approaches to make the restoration work firm and protect our school area against future threats. 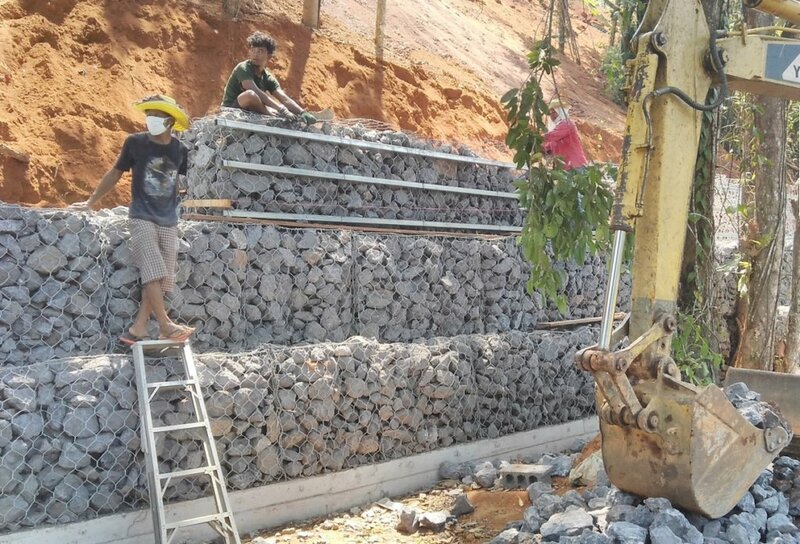 They use heavy machinery to excavate the road and install gabions to stabilize and protect the slope against erosion from flood water. 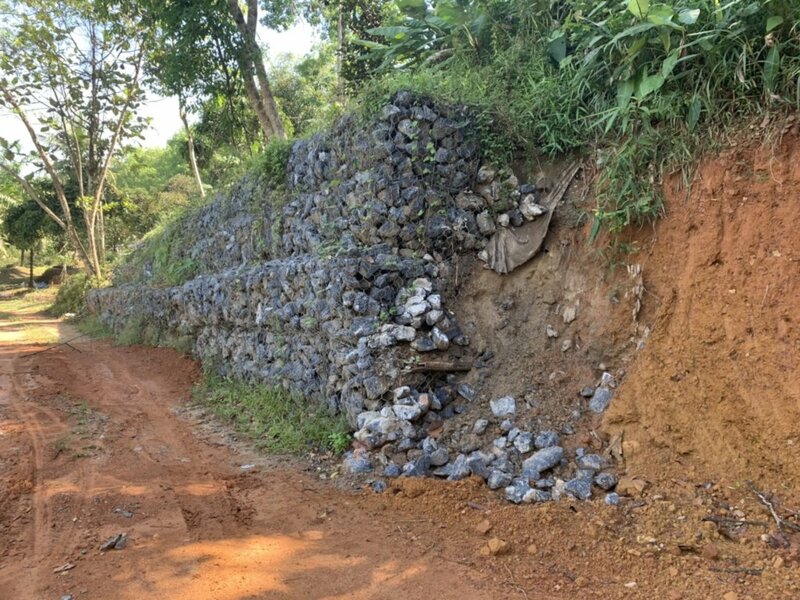 The gabions can strengthen the ground and do not jeopardize the ecological balance. 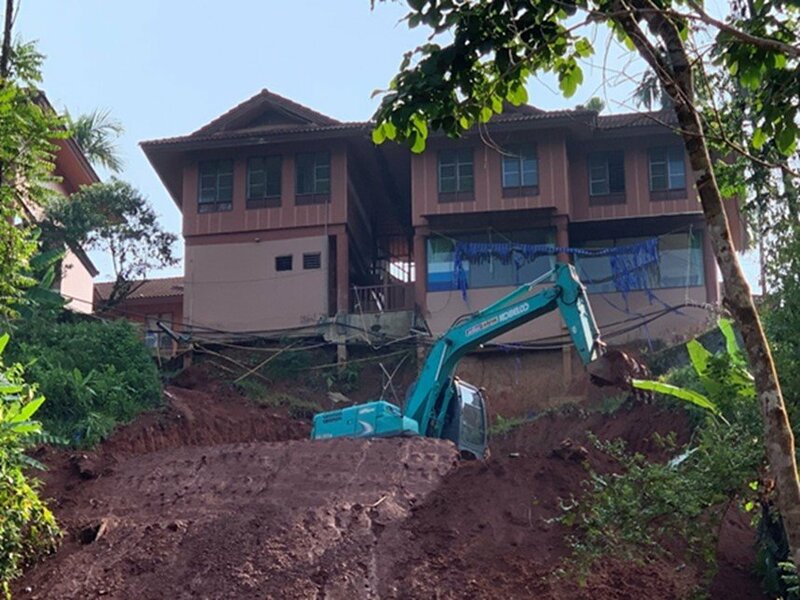 The cleaning up and restoration are in progress and scheduled to complete in the mid of May 2019 before the monsoon season. 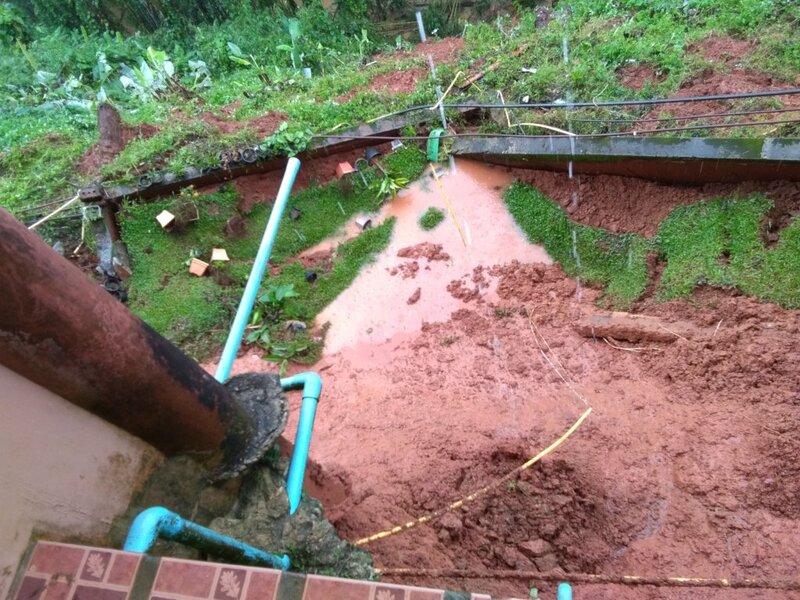 By the way, it was raining for a few week, which put a temporary halt to our restoration work to wait for the earth to dry. Donations for restoring the damaged buildings are still needed. We are grateful for your support and concerns about the children safety , emotional stability, and education. And lastly, thanks all donors for your care and support for our school. 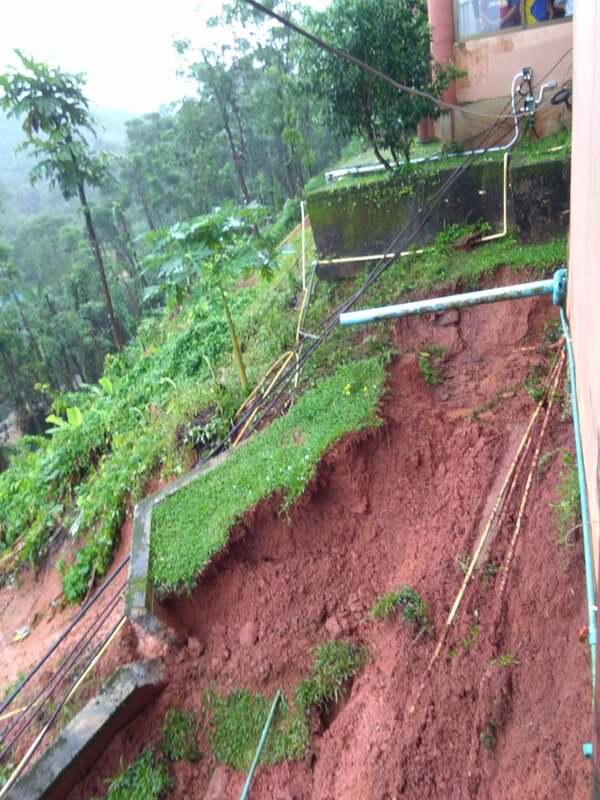 Three months ago, heavy rains caused landslides and destroyed most of the grounds of our school buildings. Since then, many daily and school activities were disturbed but most importantly the children safety and emotional stability was our biggest concern. 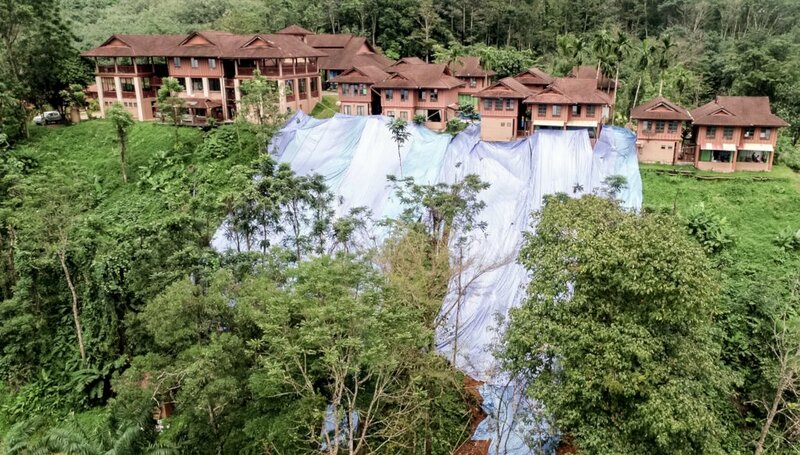 Pay the salary of engineers and qualified contractors who are experienced in this kind of slope stabilization work. 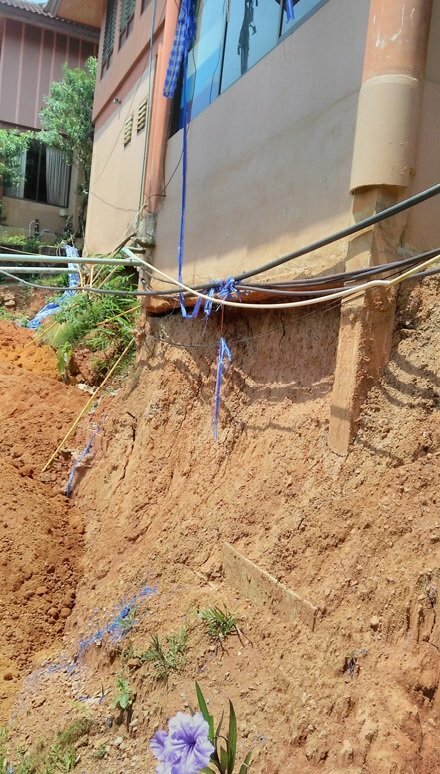 Reconstruction has not started yet since we are still working on the planning as we also need to finalize the purchase of materials. Furthermore, we must wait for the dry weather in order to bring the heavy machinery on the ground. Our community is facing many difficulties trying to fix all the damage. 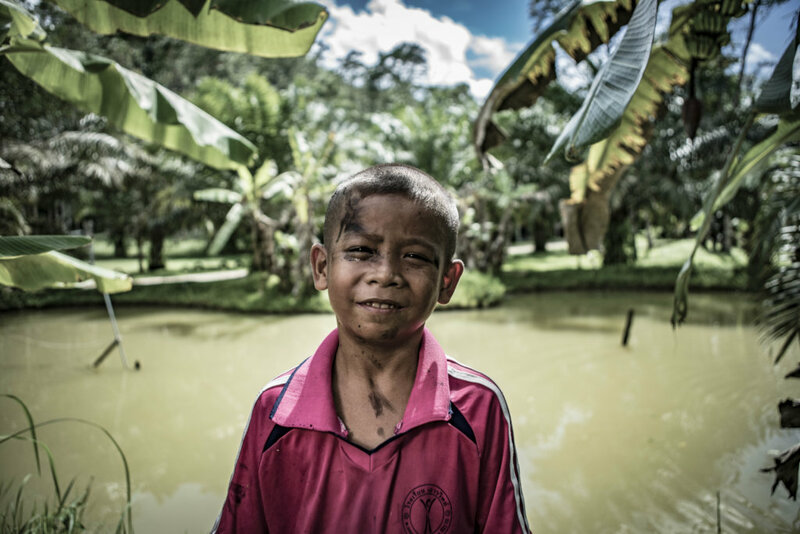 For these reasons your support is crucial to our efforts. 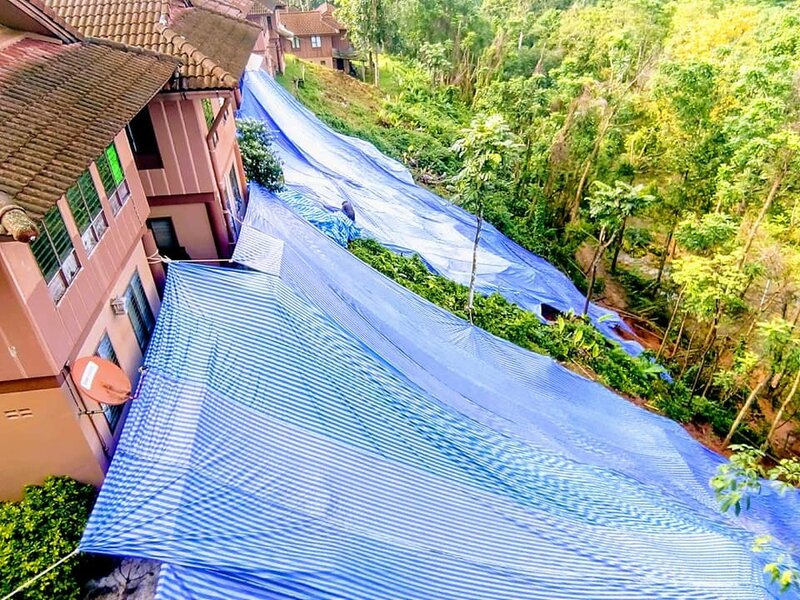 At this moment 1.5 million Baht are still needed to fix damaged buildings and finalize the reconstruction of Yaowawit. One thing for sure, is that our community has hope and is very grateful of your help.